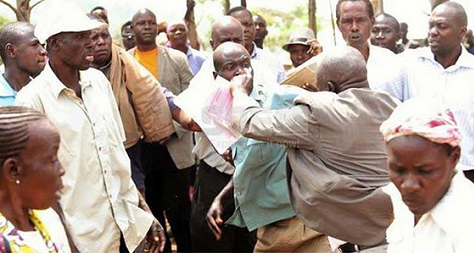 There was drama at Uradi Primary School in Kisumu West, Kenya, during a meeting to discuss the management of the institution when parents attacked the head teacher over poor Kenya Certificate of Primary Education (KCPE) examination results. . According to SDE, Yonah Oyugi found himself in hot soup when parents demanded an explanation on the poor results recorded by the school. 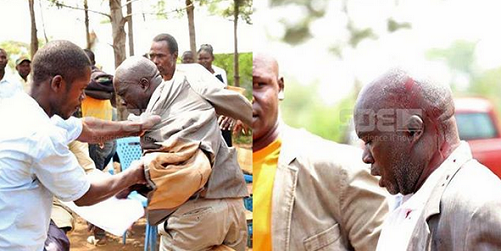 They attacked him with chairs and stones, leaving him with multiple injuries. . The parents accused the school head of mismanagement after attacking him in the presence of the pupils as the first term kicked. They also accused the principal of the school of abusing them alongside their children and mismanagement of funds at the schools. Oyugi, however, denied the claims terming them baseless. Sources indicate that only 4 of the 27 candidates who sat for the examinations scored 200 and above, with the best student getting 238 out of a total of 500.